The fear that the internet would be reduced to a overload of information is not new. In scholarship, it was codified at least 11 years ago, in Yochai Benkler’s fairly ground breaking The Wealth of Networks. The Babel problem, as Benkler dubs it, essentially argues that when everyone is allowed to shout, either no-one gets heard, or money comes to determine who is. In short, it’s either information overload, or the ‘old pay to play’ model of mass media. Benkler is not a full-on cyber-utopian, but back in 2006 – the year Twitter launched, and when Facebook and YouTube were still in their infancy – he certainly painted a rosy picture of the web to come. It was to overthrow mass media (not inaccurate), turn passive consumers into active prosumers (very accurate), and encourage an open-source ideology would overcome our obsession with copyright (yes and no). The overall effect of the networked information economy, as he dubbed it, would be far preferable to what had come before. The Babel problem would be overcome through the power of the commons, just as the old dominance of mass media would be diminished. This was before the Arab Spring, of course, when it became distressingly clear that despots could use the internet as effectively as dissidents. And it was well before we discovered that computational propaganda (the use of bots as political weapons) could help bring American democracy into dispute. It feels a bit like we’ve hit peak Babel today. There’s a fragmentation of readership which we are seeing in America and across Europe, in part driven by a massive proliferation of news sources (not all of them terribly professional or acting in good faith). Levels of trust in the MSM, on both the left and the right, seem to waver. At the same time, the problem of differentiating between political activism and journalism has become quite acute. And, of course, there is that stench of money hanging in the balance – the allegations about the Seth Rich story being driven by Fox and the White House, sounds like nothing but good old fashioned pay to play journalism. But is it fair to judge the internet as the greater divider? Benkler, in The Wealth of Nations, makes clear that he thinks the success of the networked information economy should be measured against the current mass media market. The usual benchmark, the high idealism of John Perry Barlow’s ‘A Declaration of the Independence of Cyberspace’, was rejected by its own author in 2004 to be fair. Certainly, the erosion of mass media has allowed unsavoury elements to creep in from the fringes – but it has also given space for projects which wouldn’t have found a place when the traditional newsroom held a monopoly over information. Snopes and similar independent fact-checking organisations exist in a symbiotic relationship with media: they point out falsehoods, and the media publicises it. Similarly, we’re seeing the development projects like Hamilton 68 (which I hope to write more about in the future), a tool for tracking networks of bots and pro-Russian accounts on Twitter. Is it journalism? Not exactly. Is it a platform for journalists, as well as for civil society and ordinary citizens? Certainly. In essence, the Babel problem seems to have provided its own upside. A mass media which cannot rely on simply saying ‘it’s right because I say so’ has gained adjutants to help say ‘it’s right because of so-and-so’. The much lower margin to entering the new media landscape, which Benkler pointed out even in 2006, means that you don’t have to pay to play any more, giving new space for hobbyists and amateurs to take their spot alongside the old timers. This still doesn’t solve the problem of how we deal with a fragmented readership. The best argument might be to simply acknowledge that the cat’s out of the bag, has caught the train, and is already well on its way to the airport. The days of reliance on a few channels and a few newspapers are long dead. It’s a reality that the mass media might not like, but the simple fact is that ‘rebuilding’ a relatively broad audience which existed even twenty years ago is wishful thinking at best. We can expose ourselves to more ideas and more opinions, and the news establishment simply has to adapt to this. Of course, when some those ideas are deleterious (see: Pizzagate), that’s not necessarily a good thing. No-one’s ever thought it was a good idea for pubs to start serving pints of paint stripper and bleach in the name of variety and freedom of choice, after all. And when these ideas are being presented as having equal validity to good science or rigorous journalism, you’ve got another problem altogether. What Benkler observed back in 2006 – and which should come as surprise to no-one today – is that the subclusters of political sites had stronger connections within themselves than to opposing viewpoints. When these bipartisan ties fray and finally snap, we get echo chambers. So in a sense, the Babel problem, with the resultant weakening of the legacy media and the explosion of spurious online resources, might be what’s at the heart of the conspiracy theories and political zealotry we’re seeing today. There is encouragement to be had that we’re taking measures to see across the aisle. The New York Times runs a section featuring conservative stories in order to break the echo chamber. These were not discussions that were had in the past, when audiences were homogenised, because the need was not so apparent. Back then, though, we would never think about going out of our way to read what the other side is putting out. Today, with so many voices to listen to dodging the Babel problem and staying out of echo chambers is harder than ever. But at the least, we’re thinking about how to fight it. “It was the best of times, it was the worst of times…” pretty much sums up 2016 in a single sentence. Today’s result in the American Presidential Election came as a shock to many, partly because all the data pointed to the contrary right up until the day itself. It seems we are still a long way from understanding the contextual nature of mining big data for information, and this problem extends itself into how we are becoming heavily reliant on similar systems controlling how we consume information. Nowadays we use Facebook, Twitter, and other social networks to gain information, ingest content and read the news. We often see what we like and like what we see, resulting in biased social feeds because of this echo chamber. 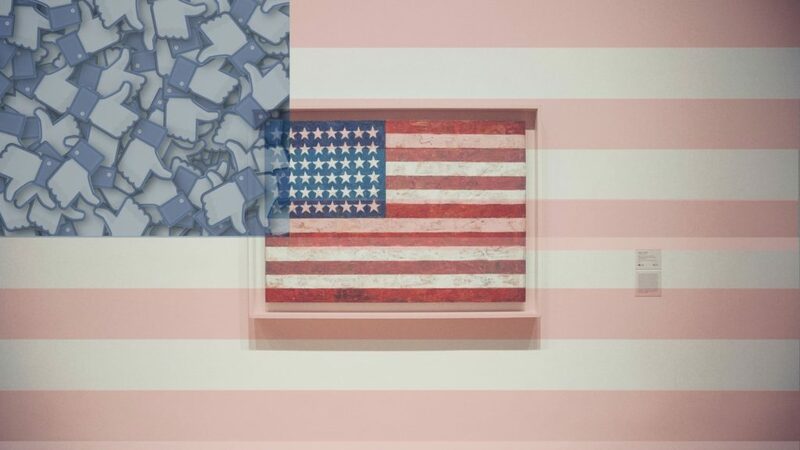 Most of us have realised how biased our news feed is which is down to how we use them, but recent political events such as Brexit and the US election have shown us the extent of just how much this is the case. In many cases, users don’t even realise that they consume one-sided, or similar information because of the social circles around them. This entire phenomenon can be chalked up to “You don’t know what you don’t know,” and users end up only reading regurgitated information. As a consequence, we unknowingly accept the echo chamber we’re placed in because we are fed information we like and agree with our own opinion. It’s then reinforced because people in the same social sphere agree with us too. So the echo chambers’ cycle remains because it gives us a false sense of affirmation that we are right in our beliefs – also known as a confirmation bias. In the graphic, you can see Liberal and Conservative Facebook feeds side by side and how much they differ. After all, your feed is designed to prioritise content based on what you’ve liked, clicked and shared in the past. This means that conservatives don’t see much content from liberal sources and vice versa. This particular presidential campaign has been fought on an entirely different content battleground than others, with a new army generating that content at high speed; with low value but an extremely high impact judging from today’s outcome. According to an article in Wired, one in every five election-related tweets from September 16 to October 21 was generated by a bot. These bots automatically generated content that met the criteria of the political agenda. Because of the deluge of tweets, they triggered and shaped online discussions around the presidential race, including trending topics and how online activity surrounding the election debates were judged. The problem stems in a shift from an Information Economy to an Attention Economy, where he or she who makes the most noise, wins. Unfortunately, noise does not equal signal but you can’t tell them apart when a bot or algorithm is involved. The perfect example of this was the revelation that over 100 pro-Trump websites were in fact, being run out of a small town in Macedonia. Posts weren’t being generated by bots but by a small group of teenagers making money from click bait articles which were mostly false and misleading. The most successful post, according to Buzzfeed when they investigated the issue was based on a story from a fake news website, was the headline on the story from ConservativeState.com which read “Hillary Clinton In 2013: ‘I Would Like To See People Like Donald Trump Run For Office; They’re Honest And Can’t Be Bought.’” The post was a week old and had racked up an astounding 480,000 shares, reactions, and comments on Facebook. Those numbers are astounding and prove that attention means more than information. Bots and algorithms don’t seek out opposing views or surface them for readers because they’re not built that way. They serve us what we want to hear. It’s the same when we’re served news written by human hands specifically for our tastes. We become trapped in a filter bubble wrapped around an echo chamber (or should that be an echo chamber wrapped around by a filter bubble?!). The way to break free from this is to start understanding how algorithms work, why content screaming for attention can no longer be trusted as relevant, and to surround ourselves with different viewpoints. The ultimate goal is balance and only this way can you find a new perspective, different content, and learn what you don’t yet know. We should be more selective in the content we consume. Instead of the algorithm doing the filtering first, we should manually look to filter the news, media, and information ourselves in order for algorithms to gently nudge new information by suggesting opposing views that broaden our perspective. The algorithm should be the one to challenge our point of view, not reinforce it.